Paperback, 9.5 x 11 in. / 240 pgs / 90 color / 30 bw. Edited by Gabriella Belli, Flavio Fergonzi, Alessandro Del Puppo. Text by Clarenza Catullo. To date, there have only been two exhibitions devoted to the sculptural work of the Italian artist Amedeo Modigliani (1884-1920): in 1911 at the Parisian studio of the Portuguese painter Amadeo de Souza Cardoso and in 1912 at the famed Salon d'Automne. Modigliani Sculptor is the product of six years of painstaking research, which uncovered unpublished and little-known historical documents. It takes into account relationships among the sculptors who lived or exhibited in Paris at the turn of the twentieth century, and also points to remarkable stylistic comparisons, illustrating a wide range of sources for Modigliani's sculptures including tribal and Oriental models. A true labor of love and art-historical excavation, Modigliani Sculptor will provide scholars and the general public with a unique opportunity to discover an almost unexplored chapter in the history of the great artist. 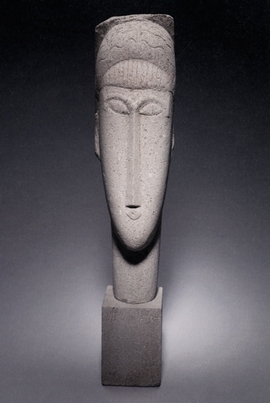 Featured image, Amedeo Modigliani's Head of a Woman, 1911, from the Minneapolis Institute of Arts, donated by Mr. and Mrs. John Cowles is reproduced from Modigliani Sculptor. "Differently from painting, that had such a great success at every appearance, up until today his sculpture has been more for the specialists than for the general public, although in these recent years all the more significant exhibitions can boast the presence of some sculptures, to remember in any case just how important they were, in the general economy of his work, those two years that he dedicated almost exclusively to his chisel. All the most authoritative sources say that the season Modigliani dedicated to sculpture was as intense as it was brief. The number of works produced in those two years--Ambrogio Ceroni published the first reliable catalogue in 1965 and lists twenty-five--has always been judged as important but residual, a judgment which has perhaps conditioned also that modest interest of his biographers and the great number of critics who were interested in his pictorial work. 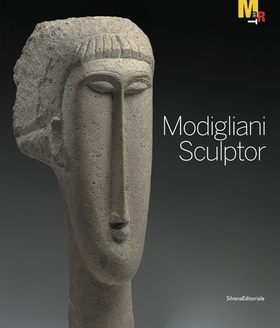 Gabriella Belli, excerpted from Modigliani, Sculptor Rediscovered in Modigliani Sculptor. FORMAT: Pbk, 9.5 x 11 in. / 240 pgs / 90 color / 30 b&w.